This has been a good month for teaching and learning. Among other things, I have been the instructor for a Lesley University class, EDUCC 5300...Environments and Materials in Reggio Inspired Teaching and Learning. Nine students are enrolled in a class that meets for two intensive, packed weekends a month apart with on line assignments each week for eight weeks. The class culminates with a reflective final paper focused on curriculum or space design. The students are graduate or undergraduate students or teachers who are seeking professional development. We have used Vea Vecchi's Art and Creativity in Reggio Emilia as the core text supplemented by other reading and on line resources. One of the highlights of our days was a visit to Buckingham Browne & Nichols Lower School where we toured the school and met with teachers of the youngest children. Being in a developed environment that exemplifies much of what the course focuses on is a critical experience for the students in this class. 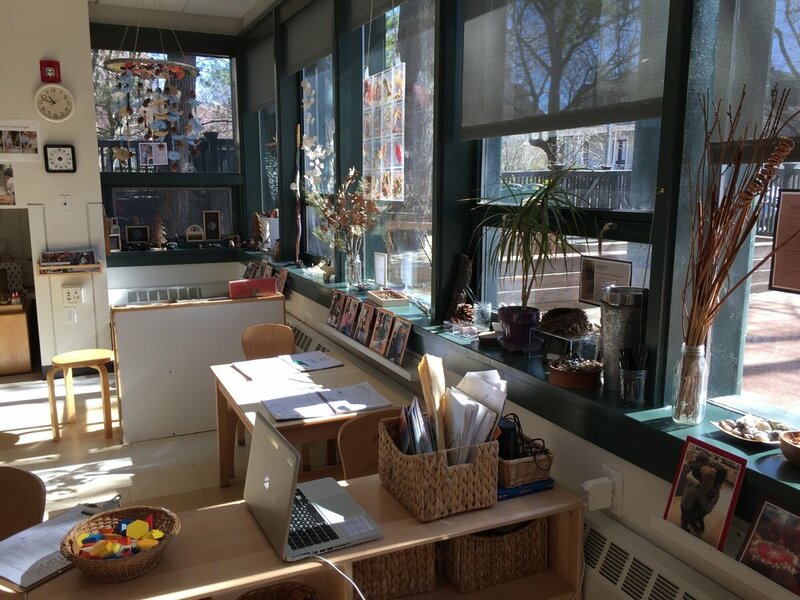 They are able to see and touch and feel exemplary Reggio inspired classrooms. Last Sunday, the students presented their final projects in progress and we all were involved in a peer review in support of each student...What do we notice and value about their work and their focus? What questions do we have? What ideas and associations are we making? What help could we offer? This protocol or structured conversation is adapted but based on one I learned with Steve Seidel at the Arts and Passion Driven Learning Institute last summer. Listening to students and responding and evolving ideas together is the heart of dialogue. This is my favorite part of the class. I see everyone come alive as each person knows that they are the central presenter and that others are there to support them in a critical and helpful way. One of the resources we used in the class is the Expeditionary Learning website and their extraordinary collection of exemplary student work. We watched Ron Berger lead a peer critique of a first grader's work that is such a worthwhile five minute piece. If you have not seen it, please take a few minutes and watch it now. This focus on exemplary work and also on peer review, critique and support sets the stage for a rich and productive time together when the students in the class present their work and listen to peers. Another favorite part of the class for me comes from another prompt that I learned from Steve Seidel and at the Harvard Institutes. They often conclude an institute or learning experience with this fill in the blank sentence...I used the think...but now I think. Carlina Rinaldi says that to learn is to change. This prompt captures the essence of that idea. Here are three comments from students in response to this prompt that continue to inspire me. I hope to keep in touch with students and see where they go and what happens next.